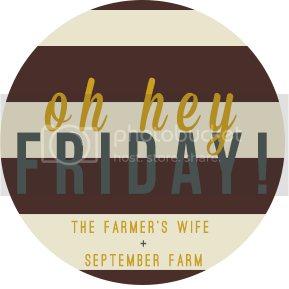 Oh, hey there lover…I mean Friday. I mean…uhm. Hello, everyone! I hope you’re just as excited about the weekend as I am. As I mentioned yesterday…my ten year reunion is this weekend. I CANNOT WAIT. It’s sure to be a fun weekend I won’t quickly forget. Events start this evening and span until Sunday Morning. On a note totally unrelated to the reunion, I have a race Saturday morning which I’m hoping to get a personal best. I would like to break 25 minutes in my 5k…which I think is totally possible. Up until this point, 5k’s are traditionally reserved for fun. I’d like to break that number just to prove I can do it. We have B’s first parade and festival and, of course, assorted reunion activities. I’m so excited! This week begins my 5 fitness tips with Kelly of ChaseLife and kicks off our 25 days building up to IPMPI’s biggest giveaway yet: a FREE consultation, 2 FREE coaching sessions or 2 FREE personal training sessions. ANYONE ACROSS THE WORLD CAN ENTER! She does her consultations/coaching sessions virtually, so she can reach you wherever you are. That’s $200 worth of a giveaway. Worth entering? You bet. I wanted to kick off our giveaway with 5 mental health benefits of working out. Here are my questions for Kelly and her responses. GOOD LUCK! Kelly, I saw this article about how a glass of red wine can give you the same benefits as an hour in the gym. Does that mean I can skip the workout and start a wine habit instead? No one should pick up the habit of having red wine every night. Everyone needs to be physically active to some degree. One glass of red wine, yes, may help prevent heart disease, but exercising will strengthen not only your heart but all of your body’s systems (muscular, digestive, endocrine, nervous, etc.). Does working out help you feel better about yourself…even if you don’t see results right away? Absolutely. Even a 15 minute walk will cause your body to release endorphins which will create relaxation as well as rejuvenate making you feel better overall. Even if you do not see results right away, keep being active and make sure you’re eating a diet rich in whole foods to see the best results and to meet your goals faster. (Whole Foods: vegetables, fruit, beans, nuts, seeds, good quality animal proteins) When you feel well, and you’re seeing the results you want, you feel better about yourself overall. If you don’t see results, should you give up what you’re doing? If you perform the same exercises day after day, week after week, etc., you’re muscles become immune to the same movements. They need variety just as your body needs a variety of foods so it’s getting various important nutrients. Switching up the movements, even the slightest change, will cause your muscles to react differently producing a greater result. Look, I’ve heard people get addicted to working out. Is this true? Is this something I should be concerned about if I’m starting a new routine? Yes people can become “obsessed” with working out, and then this is not the best. “Addicted” to working out is a good thing as long as you’re doing exercises properly as well as finding balance with other lifestyle objectives such as finding time to be social, being with family & friends; having a relationship with your spiritual or religious side, being productive in your workforce, etc. When someone is “obsessed” with working out, they most likely are not reaching that balance. You do not want to burn out or miss an important event because you “have to workout” (although you already exercised 6 times this week). You should not be concerned about becoming addicted to working out if you’re starting a new routine. Enjoy it. Can working out improve my job performance? Of course. Working out certainly improves your job performance. It gives you more energy, helps you sleep obviously making you more alert & attentive during the day, strengthens your immune system resulting in few “sick days”; reduces stress and anxiety as well. When you do become stressed, or are feeling tired at work; step away, take a walk or do stretches. You will feel better and rejuvenated so that you can come back to your workspace with a fresh outlook and a clear mind.